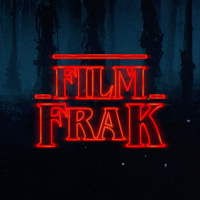 Welcome to FilmFrak: The Podcast Episode 9. As usual, the arrival of November sees a temptation alley of titles hit cinemas. So many on the must-see list are releasing right now and Jon and Adam got to check a few off their list. There are still a slew of 2016 films due before the end of the year we want to catch and you should get out there too because there seems to be something for everyone at the moment. So what are we going to talk about today? Let’s start with Dennis Villeneuve’s highly anticipated sci-fi ARRIVAL. After that it’s a trio of WWII combatants with HACKSAW RIDGE, ANTHROPOID and ALLIED. Next we do horror Director Ti West’s B-Western IN A VALLEY OF VIOLENCE before slipping south of the border for TRANSPECOS. RULES DON’T APPLY, DOG EAT DOG, COMPLETE UNKNOWN, IMPERIUM, FANTASTIC BEASTS AND WHERE TO FIND THEM, PETE’S DRAGON, BROTHERS GRIMSBY and TRUE MEMOIRS OF AN INTERNATIONAL ASSASSIN round out the 2016 selections for this episode. Our retro bigscreen joys contain a 1950’s classic double bill with Jimmy Dean in REBEL WITHOUT A CAUSE and Elvis in JAILHOUSE ROCK. Jon also subjected Adam to RED SONJA in 35mm.